We are a leading Manufacturer of epdm rubber beading, squire rubber beading, square rubber extruded beading, sandhyafex rubber squire beading, sponge rubber beading and rubber squire beading from Hyderabad, India. 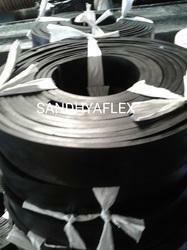 Sandhya Enterprises Manufactuer of Extruded and Moulded Squire Rubber Beasding size:2.0mm to 100 Thick, width 10mm to 1000mm width. max 100Mtr Length, Hardness 55 to 70 Shore A.
Sandhya Enterprise manufacturer and Supplires of Squire Rubber Extruded Beading. size :10mmx 5mm, 10mmx10mmx15mmx10mm,20mmx15mm,25mmx20mm, 30mmx25mm x50mmx50mmx40x60mmx75x50mmx100mmx100, for more details pl contact To Mr Mithilesh Chaudahry 9652998932, email:sandhyaprises@gmail.com, website:www.sandhyaflex.com. 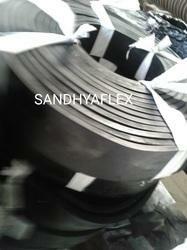 Sandhya Enterprises Manufactuer and suppier of Sandhyafex Rubber Squire Beading. Sandhya Enterprises Manufacturer and Suppliers of Squire Rubber Beading. Sandhya Enterprises Manufacturer and Spplier of Sponge Rubber Beading. size 2mmx5mm to 100mmx 100mm, Color Black, Hardness 55 to 75 Shore A, Polymers NR, SBR, NBR, Neoprene (CR) and EPDM, Sponge Rubber Beading hardness 25 to 30 Shore A. form more information Pl contact to Mr Mithilesh Chaudhary 9652998932, Email : sandhyaprises@gmail.com,website: www.sandhyflex.com. Payment terms 50% advance with Purchase Order Balance 50% againt Proforma Invoice. Neoprene rubber is an all purpose elastomer and an extremely versatile synthetic rubber used in thousands of applications. 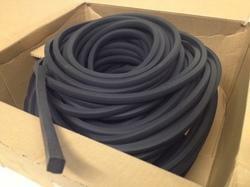 Neoprene rubber resists degradation from sun, ozone and weather and performs well in contact with oils and chemicals. 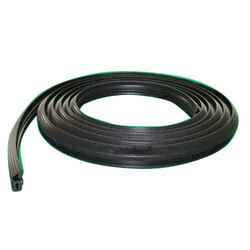 Neoprene rubber maintains its strength, flexing, twisting and elongation very well over a wide temperature range while having outstanding physical toughness. Many grades of neoprene are available depending on the application. anti-static ESD neoprene and even FDA approved neoprene is readily available. Looking for Squire Rubber Beading ?